Phonographic Copyright (p) – The Gramophone Co. Ltd. 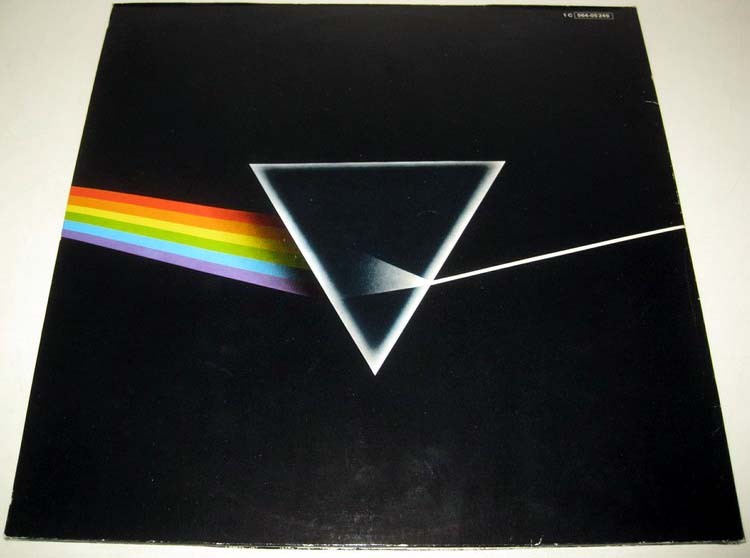 Originally released 1973. 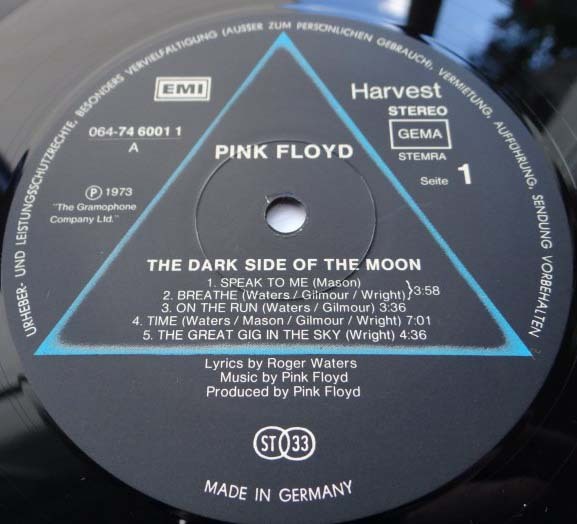 This is the 5th issue and a repress of <a href="http://www.discogs.com/Pink-Floyd-The-Dark-Side-Of-The-Moon/release/370444"> the original issue</a> which had cat.number 1C 062-05 249. 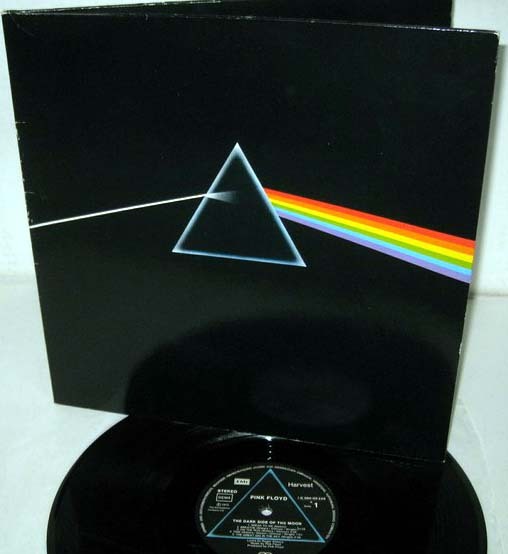 1) A blue pyramid poster. 2) A six-pane group shot poster in landscape style with. 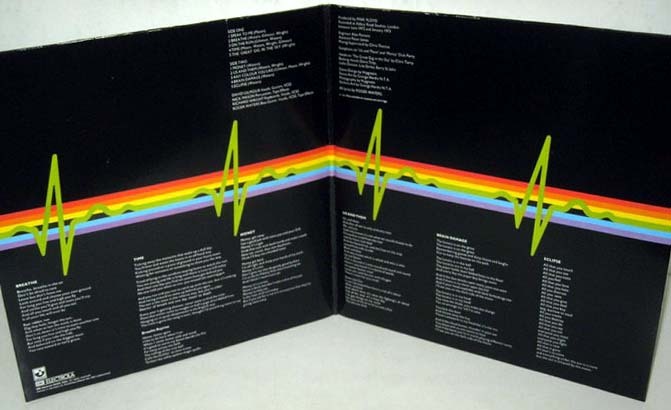 3) Two small Pink Floyd graphic inserts, one yellow and one brown, printed on thin pieces of paper. (all four with the same cat# as the release).